Product: Mashers Disposable Clear Plastic Cake/Dessert/Sandwich Containers with Lids, Pack of 6 was added to cart. Perfect for waffles, marble cakes, sandwiches, and wraps, these Disposable Clear Plastic Containers with Lids by Mashers belong in every take-away food outlet. 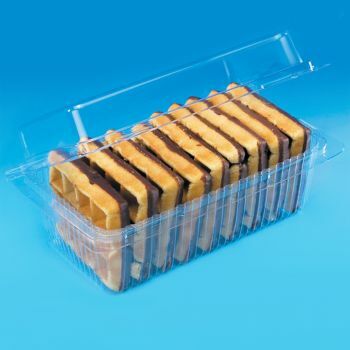 Made from quality food-safe plastics, they feature self-sealing hinged lids, a spacious interior for larger snacks and food items, and they come in great value packs of 6 and wholesale caess of 240. Fully disposable after use, these lightweight cake containers with lids allow you to showcase any deli-style foods in a safe and hygienic manner, making them a great investment for anyone working within the catering industry.